The logo of Maruti Suzuki India Limited is seen on a glass door at a showroom in New Delhi, India. (Photo: Reuters) Still a few years away from bringing out its electric vehicle, Maruti Suzuki India (MSI) Chairman R C Bhargava on Friday said that whenever the company enters that space, it would be the number one player in the segment. "Electric cars will come, we will make electric cars. I cannot give you the date just now. It is all work in progress. But I believe when electric cars come and become large in this country, Maruti will be the leader. We intend to number one," he said. Country's largest carmaker Maruti Suzuki India on Friday posted just over three per cent rise in its net profit at Rs 2,484.3 crore in the July to September, hit by lower non-operating income. The company had reported a net profit of Rs 2,401.5 crore for the same period of the previous fiscal. 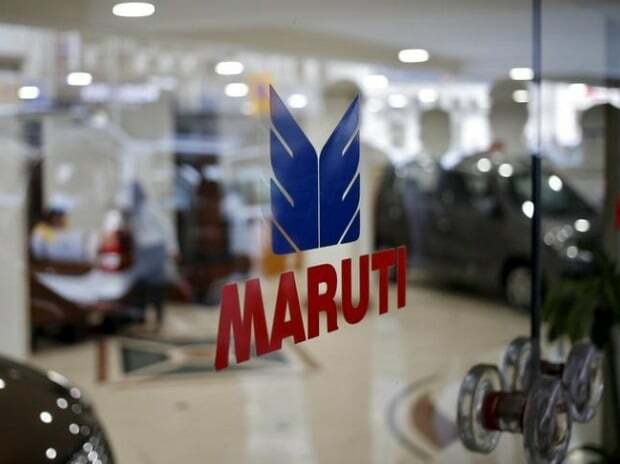 Net sales, however, rose 21.8 per cent to Rs 21,438.1 crore for the quarter under review as against Rs 20,048.6 crore a year ago, Maruti Suzuki India (MSI) said in a statement. "The main reason for 3.4 per cent growth in net profit was decline in amount of non-operating income during the quarter," Bhargava said. The company had a one-time gain of such income in the same period of the previous fiscal, he added. "Tax was also on the higher side this fiscal (as compared to the same period of the last fiscal)," he added. The company maintained its outlook of double-digit growth during the current year. However, Bhargava made it clear that in the next six months the growth might not be in high double digits. "Do not expect 20 per cent growth through the year. Overall it looks quite good for the future. The economic climate and the way the economy is going with all the changes that are being made will enable the car market to keep growing," he said. Pointed that this was the first quarter after implementation of Goods and Services Tax, Bhargava said that the auto industry has still witnessed double-digit growth amid apprehension about the impact of the new tax regime. "After GST industry growth was for car sector was much higher," he said. MSI, which has around 50 per cent market share in the domestic passenger vehicle segment, reported sales growth of over 17 per cent in the first half of 2017-18. It sold a total of 8,86,689 units during April-September, a growth of 15.6 per cent. Net profit for the period stood at Rs 4,040.7 crore, up 3.8 per cent from the same period of the previous fiscal. In the domestic market, the company sold 8,25,832 units while it shipped 60,857 units to overseas markets during the period. On electric vehicles, Bhargava said that the broad outline of the agreement that Suzuki and Toyota have signed include technologies of hybrid and electric. "The talks in Japan are still going on. Toyota certainly has a lot of electric technology. So it's not that tech will not be available, Suzuki will give their technology. Hopefully, by the time we do that, agreement with Toyota will come to some sort of settlement if that includes electric vehicle, that will also become available to us," he said. On hybrid technology Bhargava also said that its future will depend on what decision government takes regarding the GST rate and cess on such cars. "Our belief is that hybrid cars, compared to non-hybrids conventional cars, are superior products as they give better mileage and cause less pollution. Till such a period where conventional cars are sold in the market because 100% cars will not become electric overnight.